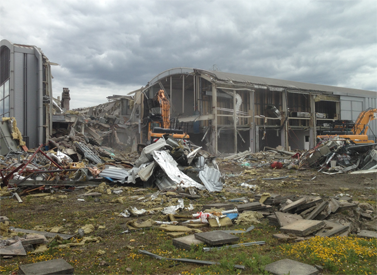 GRL uses specialist deconstruction and dismantling techniques which ensures we are the contractor of choice to demolish infrastructure, commercial, office and retail buildings in city centre and urban environments. Our sensitivity to the needs of local residents and a focus on the uninterrupted operation of businesses throughout is a priority on all of our projects. We are proud of our solid track record as a dependable specialist with a unique ability to combine technical innovation with vast practical experience and extensive resources. 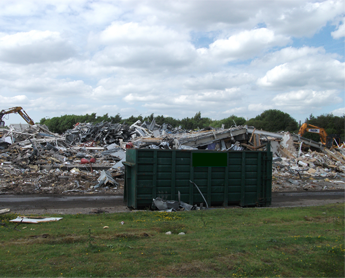 GRL offers a full turnkey solution, managing all aspects of the demolition process and associated services including asbestos removal, recycling, waste disposal and land reclamation. We are committed to ensuring client satisfaction by providing bespoke solutions to suit client’s individual requirements. This is exemplified by our professional approach and our commitment to continual improvement in all areas such as safety, technical operations, environmental considerations, quality and service. General site clearance and invasive weed management. Petrol Station decommissioning and tank removal. Bulk earthworks cut and fill, re-engineering and ground improvement. 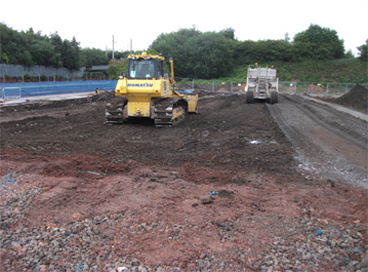 Preparatory earthworks to detailed development layouts including road, piling mats, car parks, etc. Supply of certified cover system materials and aggregates. Pre-treatment of soils prior to disposal. Remediation supervision, completion statement and regulatory sign-off using third party consultants. The continued development of legislation/directives and government strategies ensures that the emphasis will continue to be placed on the need for recycling and treatment of waste as an integral part of the regeneration of sites, not to mention the significant cost and environmental benefits associated with reducing waste. As part of our services, GRL integrates the recycling and treatment of waste within site remediation actives to optimise the recovery and re-use of waste (demolition arisings, construction/civils arisings, etc) and ultimately keep costs down. In addition, if you are operating a site that is generating waste then we also offer the facility to undertake off-site recycling at one of our licensed waste management facilities. Finally in connection with these services we also offer support in developing, implementing and delivering Site Waste Management Plans (SWMPs). Work closely with construction managers and consultants advising on the practical limitations of schemes. on their final build costs. 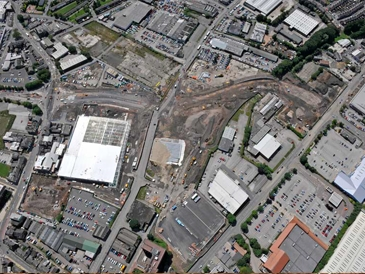 Bringing together our practical knowledge of delivering schemes to work with the client’s construction team and construction contractor to deliver phased works programs allowing demolition, remediation, civils and construction activities to work in tandem on-sites ultimately shaving significant time off project deliveries. Using established relationships with regulators to discuss and agree practical and pragmatic solutions to sites. 3D modelling and balanced calculations based on current and proposed development levels. Detailed setting out of remediation and construction works. Full as built survey records of remediation works.